Actor Jo Jung Suk made public his most memorable scene in MBC’s “The King 2 Hearts” and the behind the scene story. In the MBC’s “Section TV Entertainment Show” aired on May 13th, 2012, the filming scene of “The King 2 Hearts” was revealed. At that time, the engagement ceremony of Lee Seung Gi and Ha Ji Won were been shot. 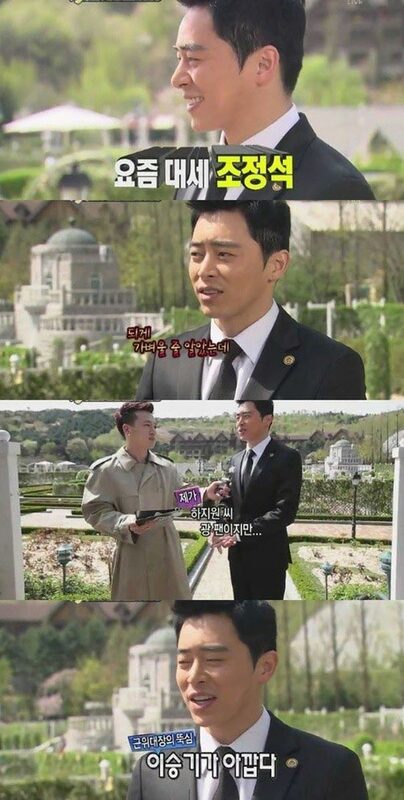 Jo Jung Suk added, “I thought she was very light….” His look when did not finish the words provoked laughter.